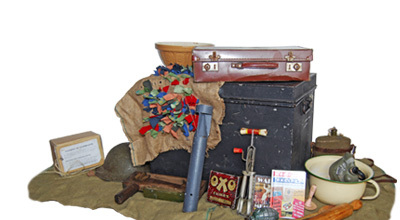 Home | Welcome to History Boxes, suppliers of historical artefacts to schools and organisations for the past 16 years. History Boxes is a Leeds based company that provides resources for teachers and schools working on the History Curriculum in the Yorkshire area. 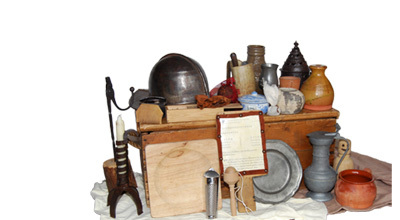 I supply handling collections of historical reproductions for use in the school and classroom. 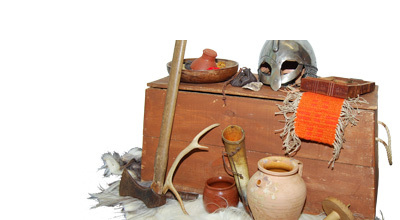 The topic boxes include Greek, Roman, Saxon, Viking, Norman, Medieval, Tudor, Civil War, Egyptians, Aztecs, Victorians, World War One and World War Two. Famous people and significant events are also covered. for example Florence Nightingale, The Great Fire of London and The Great Plague. Through my close connection with the Danelaw Living History site at Murton Park, York (I’m married to the Manager, Dave Thirlwall) I am able to draw upon a large stock of resources so if you are covering a topic not listed please contact me as many of the boxes have been developed as a result of teacher enquiries. Each box contains at least 25 items covering different aspects of life from a chosen period or a specific theme and come complete with teaching notes. Hiring is a simple process, you can contact us via a number of methods including webmail and on the phone. It is far easier to organise over the phone. 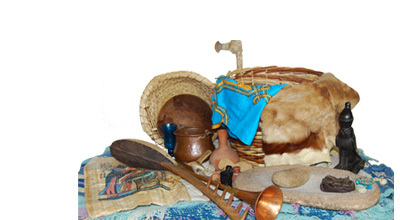 We can tailor-make a box of artefacts to your specific needs. 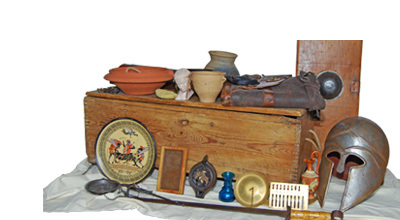 Recent boxes we have done include Christopher Columbus, Pirates and a comparative box between Iron Age and Victorians. An extra charge of £10 per box for this service reflects the research and extra time it takes to put one together. If you require a collection which is not in this list please contact us as many of the boxes have been developed from teacher led inquiries. For the last fifteen years History Boxes has proudly been supported Danelaw Living History at the Yorkshire Museum of Farming. …click on their logo to visit the site. This is fantastic, where did you get all this stuff? Our company York Time Travel create bespoke residential educational school trips. The experience and knowledge they bring to York Time Travel is invaluable. Without the support, advice and resources provided by History Boxes we would have been unable to create our Centenary WWI learning corridor. Picking up and weighing a mail shirt was far more educational than drawing a picture from a book and making up the weight with stones! The learning corridor has been a monumental success, so much so that other schools are now bringing their classes to experience this new hands-on learning environment. Dave and I have been involved with living history for over 30 years. We don’t see changes to the curriculum as an obstacle in being able to provide artefact boxes for most periods.